We are excited to announce that we are now an approved vendor for Contractor Connection Network. Contractor Connection is a residential and commercial restoration and remodeling program that provides qualified leads from property insurance carriers, service providers, and homeowners. Members of the Contractor Connection network are eligible for value-added affinity programs that include material purchase rebate programs, discounts on industry equipment, tools, and services. In addition, all members are invited to the annual Contractor Connection Conference, which provides educational sessions and networking opportunities with contractors, insurance carriers, and service providers. 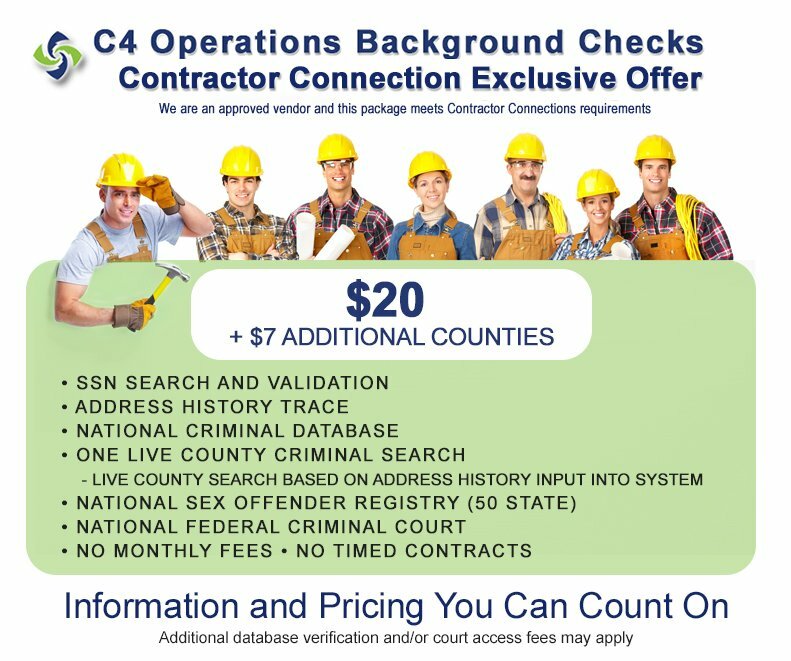 Contact us at C4 Operations to see how our services work with Contractor Connection to make your business better. FORM I-9 Compliance – Are you at Risk? C4 becomes an approved vendor for Nexxus Solutions Group. NO PERSONAL INFORMATION IS TRANSFERRED TO THIRD PARTIES OUTSIDE THE UNITED STATES.